I was featured in Fiber Art Now in March of 2017. This fabric is for sale -- see "The Fabrics" page or email me! 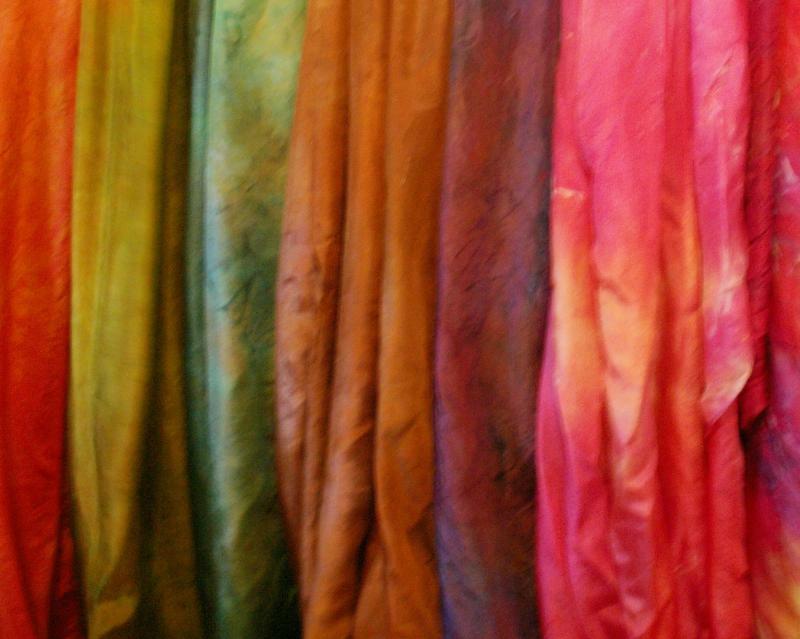 Hand dyed silk fabric and fine micron wools, perfect for nuno felting. Create beautiful nuno felted silk scarves and shawls. You will also find extra fine merino rovings -- so soft and supple and easy to felt. This is your source for all nuno felting supplies! 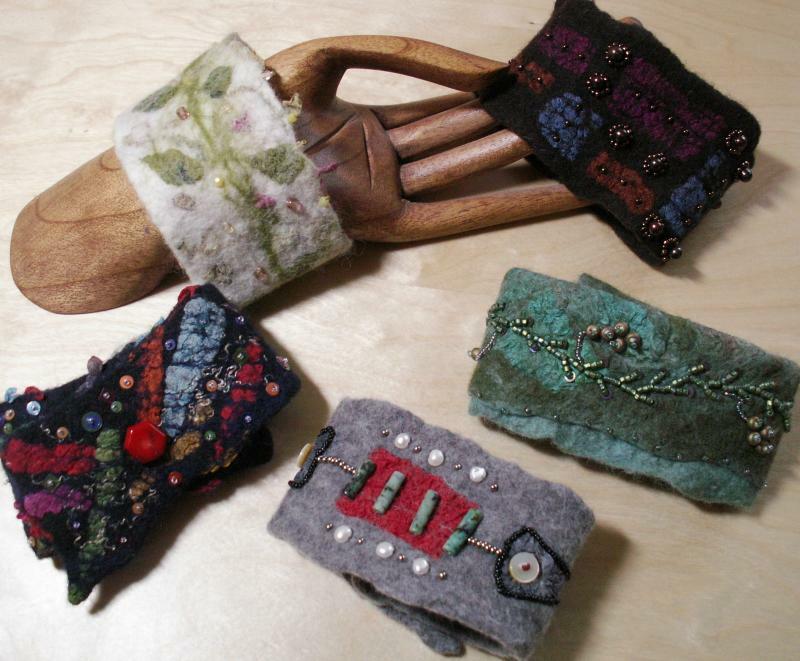 You will also find assorted nuno felting kits. Fun projects for yourself or gifts that you can get done quickly. Look at the nuno scarf kits tab and the everything kits tab. Lots of fun things to inspire your creativity! NEW NEW NEW --- Nuno Felting Teaching Video -- see that page! I was honored to represent the Creative Arts Center on Good Morning Texas in March 2011. Find us on Facebook! I will announce specials, give felting tips and otherwise share good stuff! I also teach nuno felting on a local and national basis -- check out my upcoming classes page or contact me to teach in your area. I am sorry, but I am unable to do custom orders, wholesale orders or sell undyed fabric at this time!